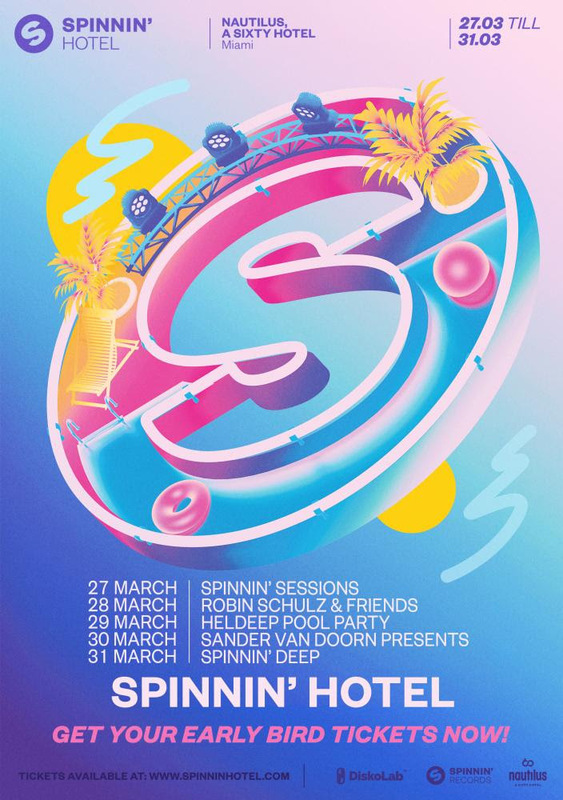 Home Events Spinnin’ Hotel Returns to Miami in March! Spinnin’ Hotel Returns to Miami in March! Spinnin’ Records brings their highly coveted Spinnin’ Hotel back to Miami for a fourth season! Set in the Art Deco district of South Beach, Miami, this event will take place March 27th to 31st. 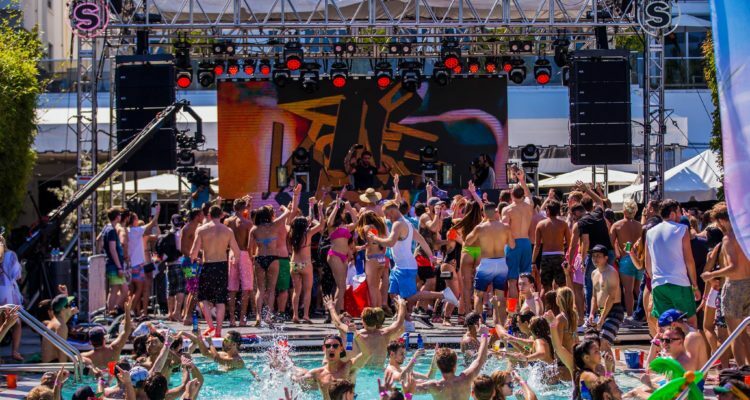 With Ultra and other pool party events taking place, party goers have more than enough to look forward to. Spinnin’ Hotel will consist of five days of back-to-back pool parties that will celebrate some of the label’s biggest artists. In addition to veteran producers, attendees will get a chance to enjoy upcoming talent, internationally known DJs, and mystery guests. Featured events you can attend include are Robin Schulz & Friends, Sander van Doorn Presents, Heldeep Records presents Heldeep Pool Party, Spinnin’ Deep and last but not least, Spinnin’ Sessions. As a reminder of what was in store last year— Sander van Doorn, Sophie Francis, Bassjackers, Don Diablo, Timmy Trumpet, Sam Feldt, The Him and many more, all had the grappling opportunity to showcase their talent on stage. If you plan to be in Miami at the end of March, these events need to be on your radar. Watch last year’s official after-movie here, or hop on over to Spinnin Hotel for tickets! Previous articleMillennials Prefer Old But Gold Music, Do You?